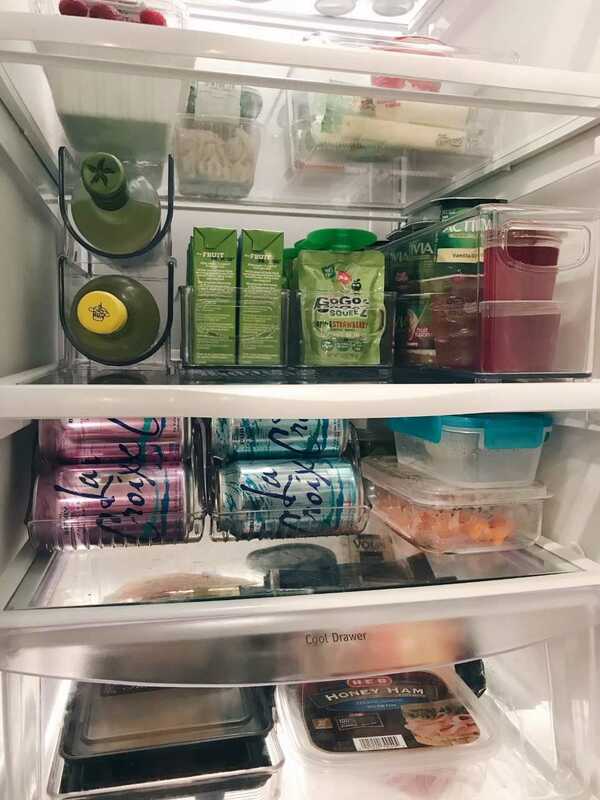 I try to always keep a neat pantry and fridge, as many of you know, I use the quick 30-minute organizing technique to keep it under control on the regular. 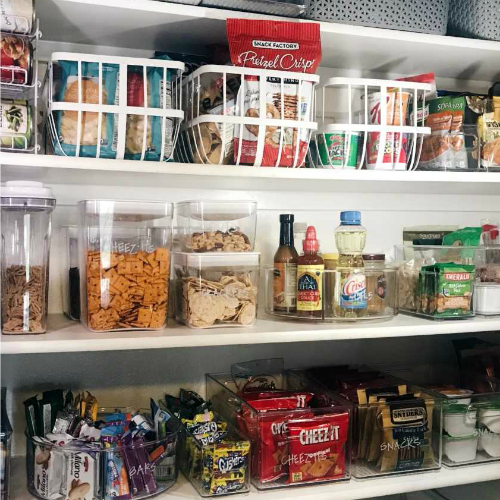 Recently, I had the itch to completely re-do the pantry in particular, so inspired by The Home Edit, I set out to re-think my pantry, in an affordable way. Now, we have a small pantry, it’s dark and tight, so I had to get creative. 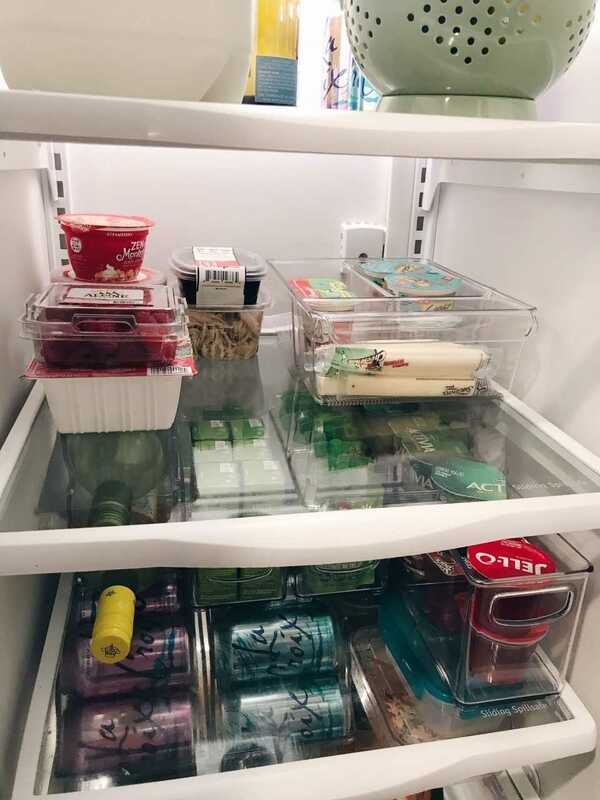 The first thing I did was think through the kind of food we tend to have in the pantry to help me figure out the type and size of containers I would need. 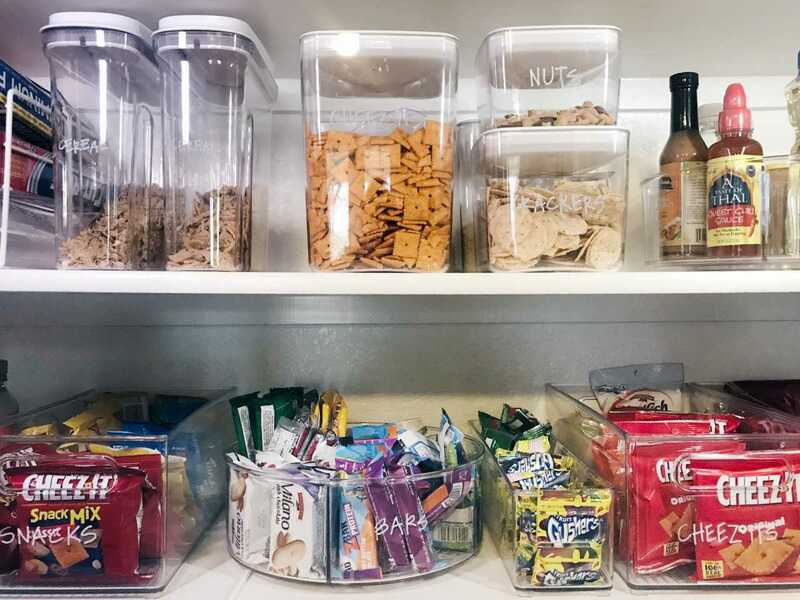 For us, it’s a lot of snacks for the boys… I always kept all the snacks in bins, so they could easily choose and pack their snacks for school. We also have bagged and canned food, plus baking items and serve ware to store. I had everything in bins already, but I took everything out of the pantry, and did a full clean. I knew I wanted a mix of textures in the pantry, as if I was decorating the space. 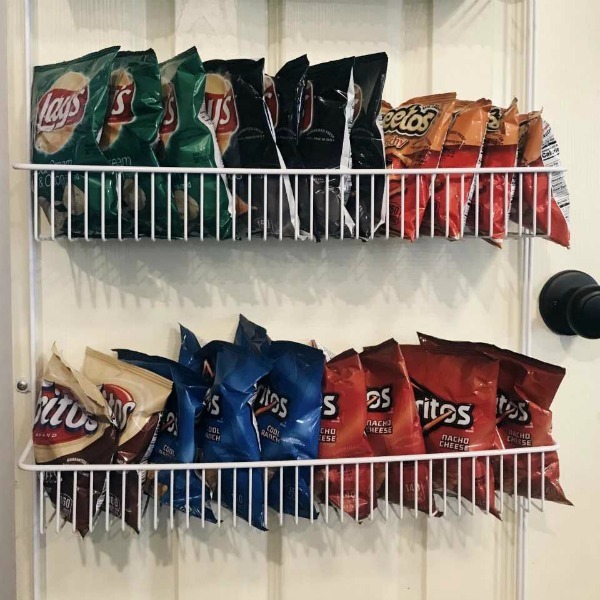 I knew I wanted to make it easier for my husband and kids to know where to put things. I also knew I wanted to save money wherever possible too. I hit The Container Store first (possibly my favorite place on Earth!) and left with just a few items… I didn’t want to overbuy at first pass. Then, I did some research on Amazon to tried to find affordable alternatives for some of the containers I wanted and needed. 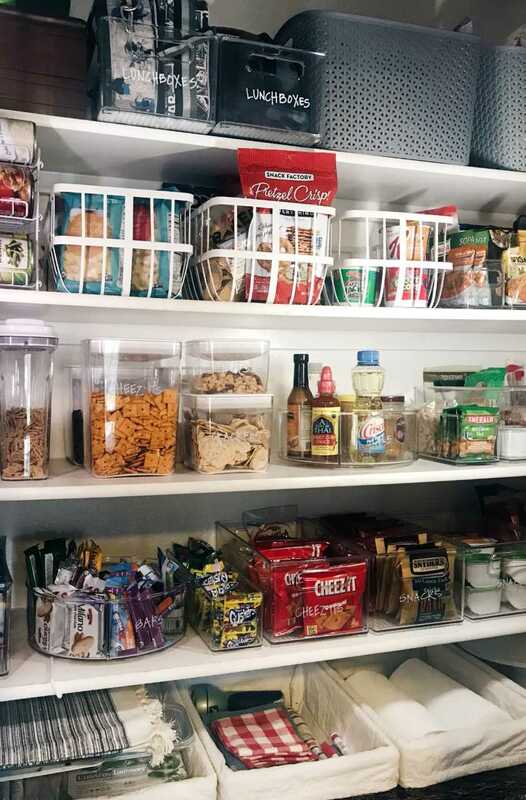 One of my favorite things was using a storage caddy on a lazy susan to store breakfast bars and treats. I also put the snacks we eat most often into stackable, labeled containers. I added in the open baskets for a nice change in texture—these were Container Store dupes I found at Target. The gray drawers I’ve had for awhile, and they’re from Target too. They store some serve ware, extra dish towels, party items and other miscellaneous things that don’t need to be seen. The baskets (also from Target) store back stock, disposable plates and other miscellaneous items. I also better utilized our door storage to organize bags of chips for school. 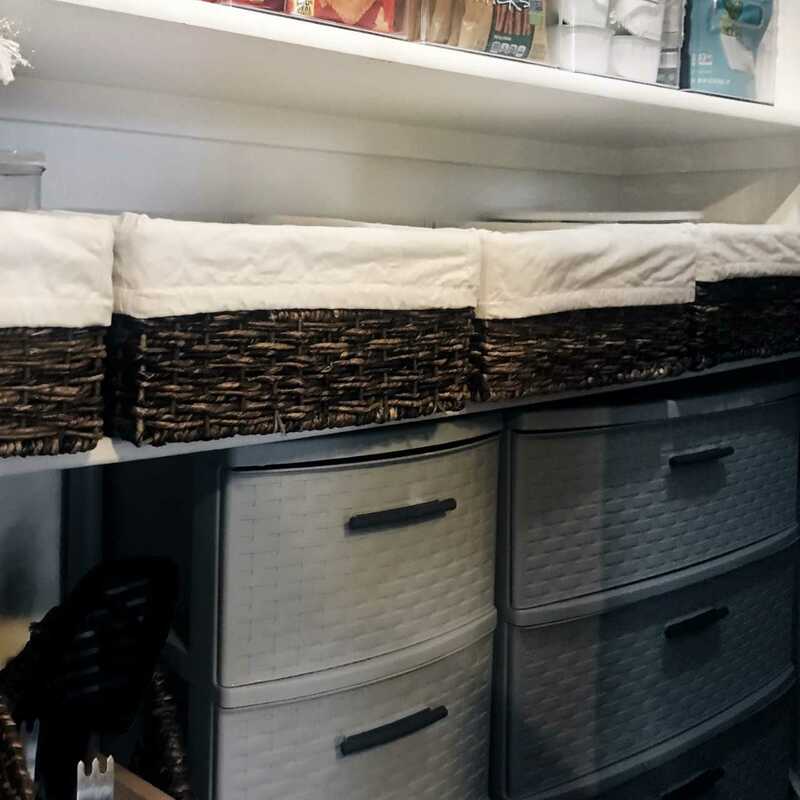 You can shop most of the organizers I used below! Good luck with your own projects, friends!